Being in the business of manufacturing historic building materials, we often get to work with clients who have some pretty neat properties. The Lakeside Inn happens to be one of those properties. Settled in the town of Mount Dora, FL, one hour north of Orlando, is the historic Lakeside Inn. 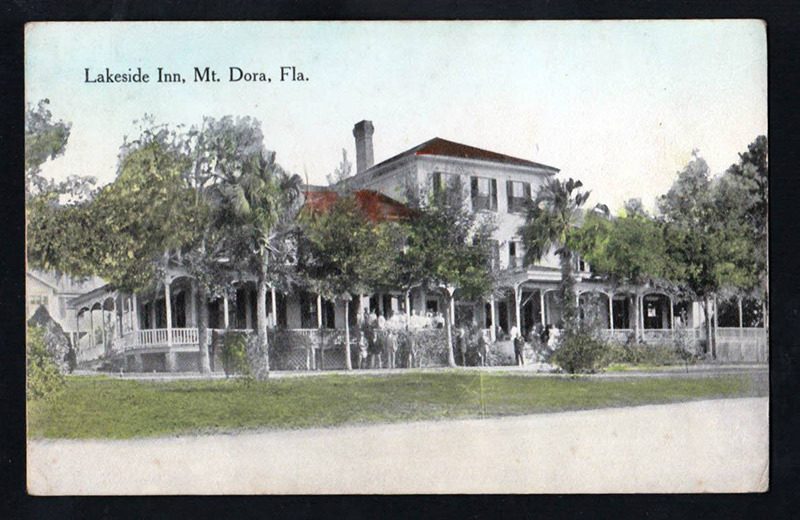 Built in 1883, the Lakeside Inn is the oldest, continuously-operating hotel in the state of Florida. This Victorian-era gem boasts a campus of 5 separate buildings that include 87 guests rooms, various restaurants and a giftshop, all situated on the shores of beautiful Lake Dora. Guests enjoy swimming, fishing, shopping in Mount Dora, and taking in the historic atmosphere. It has been a magical vacation escape for visitors for over 130 years. Renovation and preservation are top priorities for owners Jim and Alexandra Gunderson of Naples, FL. After purchasing the property in 2011, work began to fully restore this important piece of Florida history. Jim approached us seeking help to replace the crumbling rock face block fence posts, gate posts, and lantern posts that were situated around the property. Although the inn was built in 1883, these concrete block posts (including other walls and fences around the property) were not installed until the early 20th century. Concrete block was very rarely used before 1900, and the machines used to make these particular block weren’t around until after 1900. We were able to provide Jim with an exact match to his existing block. The original block was made from a Sears Triumph block machine. And as you can see, the new block looks great! Once the entire project is finished, a colored concrete stain will be applied to ensure the colors of the old and new blocks match perfectly. I think it’s time for me to head south and check this work out in person…poolside! For more information on the Lakeside Inn including a more detailed history and a great virtual tour visit: www.lakeside-inn.com. Photos Courtesy of the Lakeside Inn.